If the imagery you’re using on your website or your marketing collateral seems fake, your brand’s reputation could be at risk. Here are some strategies for finding images that won’t ruin your marketing efforts. Images should reinforce your brand’s voice, style, mood and audience. While stock photography websites offer a broad range (a plus), it’s often a struggle to find images that don’t look generic and lack authenticity (a negative). What story should your photos be telling? Read our blog Engaging Visuals: Choosing the right image. You can also personalize stock photos to better fit your message by adding text to the image, trimming the photo to highlight an important element or changing the color with an overlay so it feels more closely tied to your brand. You could get lucky and hit on an image that fits your piece perfectly. However, despite the vast range of choices, it’s often going to be a challenge to find the perfect match. However, something you see during your search may inspire a new direction of thought for your creative. Use your search time effectively by using the stock photography site’s filter to hone in on what you’re looking for. Since you often have to use several sites to cover your needs, it’s difficult to achieve visual consistency. If you find an image you like, check out that artist’s portfolio to see what other offerings he or she has uploaded. You may find that the person has a group of photos that revolve around a theme. Focusing on the skills of one artist is especially helpful to create a consistent look when using illustrations. Because you’re not buying the exclusive usage right for the image, there’s a good chance you’re not going to be only one using it. This can be an issue when you’re trying to establish uniqueness and awareness for your brand. Curious how many times a stock photo has been used? TinEye is a handy website to bookmark. Their technology allows you to upload your photo into a search to find out how many times it has been used along with a list of all the websites it’s been featured on. Royalty-free refers to the type of license used by stock photography agencies to sell images. This license type grants the buyer a determined set of rights to use the image in multiple ways for a flat, one-time fee. The cost is often based on file size, the number of permitted users or other factors. There are high-quality stock photos out there without high price tags. Hubspot has compiled a list of 20 free royalty-free image resources for creative use. 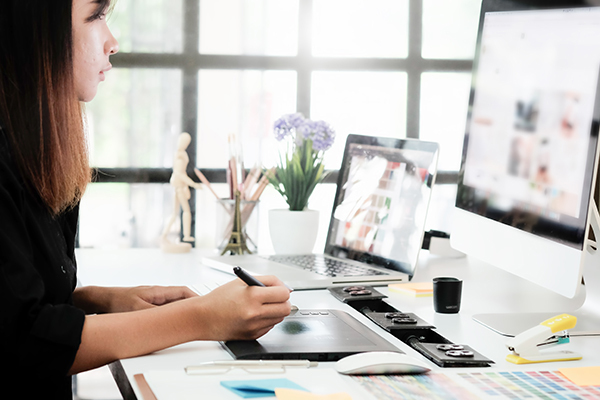 While royalty-free images can offer a cost-effective way to put together professional-looking websites and collateral, here’s our final word of caution: Make sure to review stock photography usage rights (they can vary from site to site) and include attributes whenever they’re required (especially true with “free” royalty-free images).